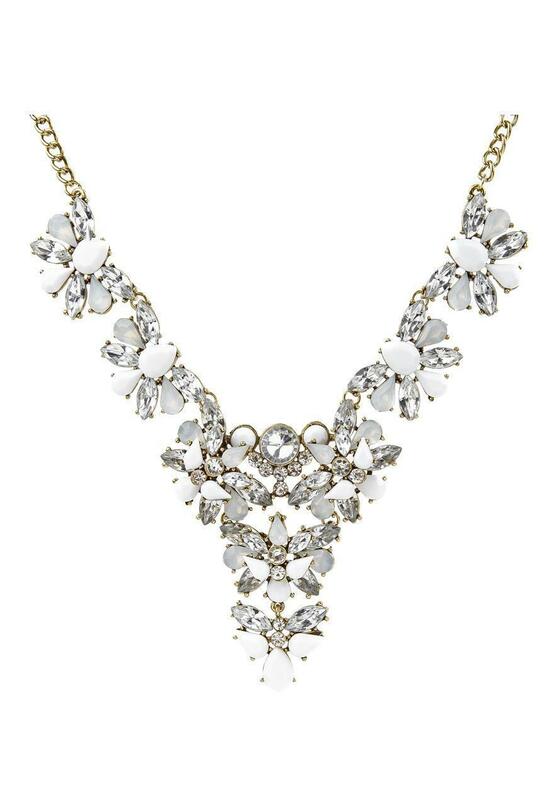 This womens white floral gem necklace is the perfect statement piece to any ensemble. 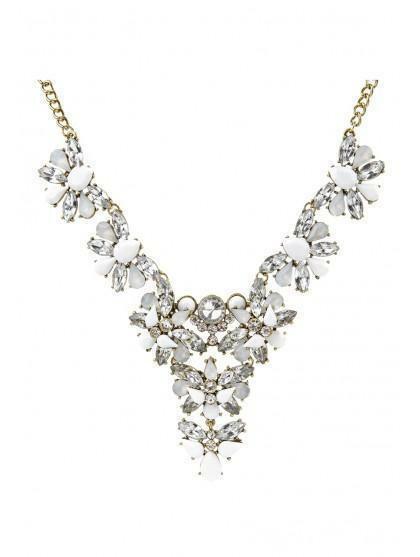 Its opulent gems paired with its classic, gold chain, complements any tired outfit. Wear with a V neck top and let it take the limelight!